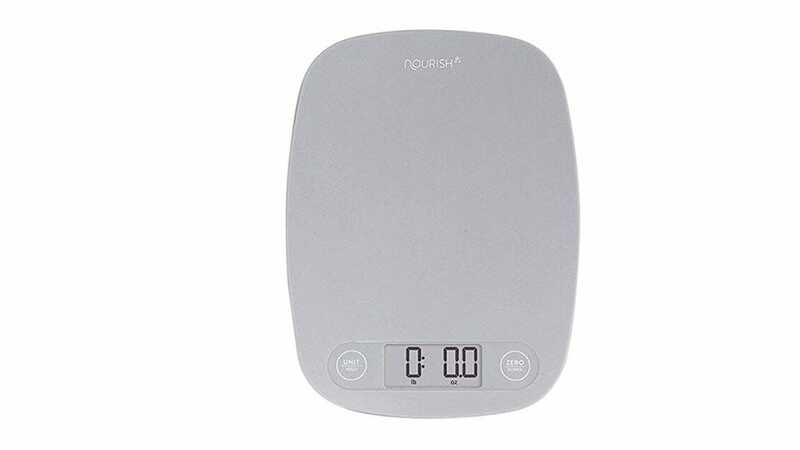 We’ve looked at a variety of different kitchen scales so there’s something for every situation. That includes if you’re on a tight budget, in need of a clear display, or want to be able to hook it up to your smartphone. Whatever the scenario, we’ve got you covered with some high-quality kitchen scales. 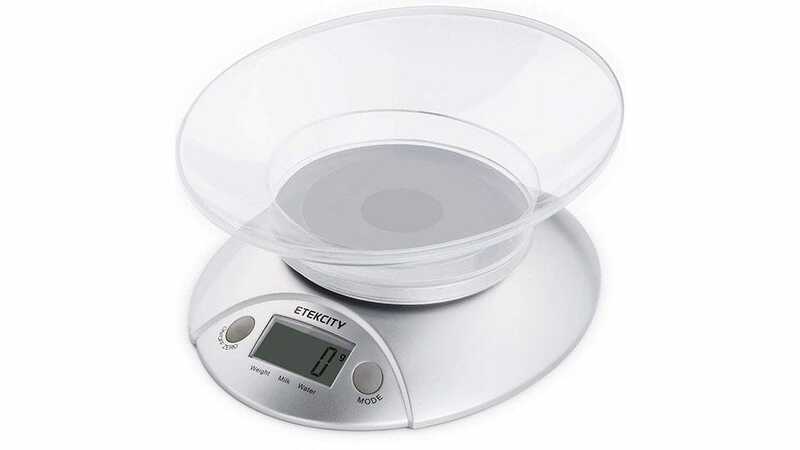 Sure, you can place your own bowl or container on top of scales but Etekcity saves you the effort with its Digital Food Scale. You can use it to weigh up to 11lb of ingredients without any hassle. It quickly measures and converts units between pounds, grams, milliliters and fluid ounces. It also includes measurement modes for water and milk so you’d be hard pushed to not find something it can do well. The detachable bowl design is perfect for flexibility. It’s not like you can have too many mixing bowls, right? 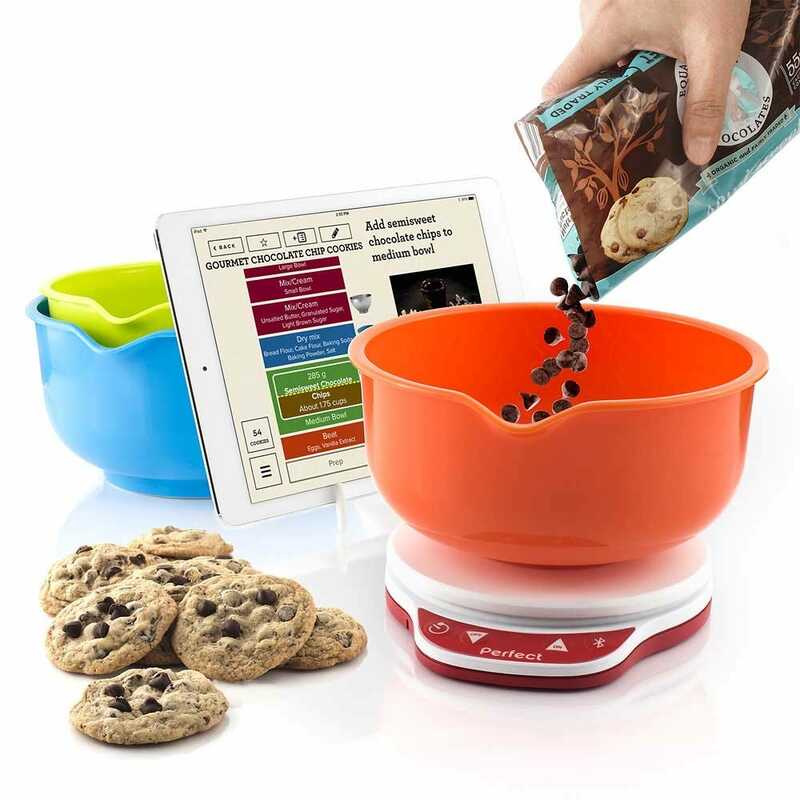 You can lift the bowl up and mix from there, or you can choose to swap it out for another container with the auto-zero function ensuring you always get the correct measurements. 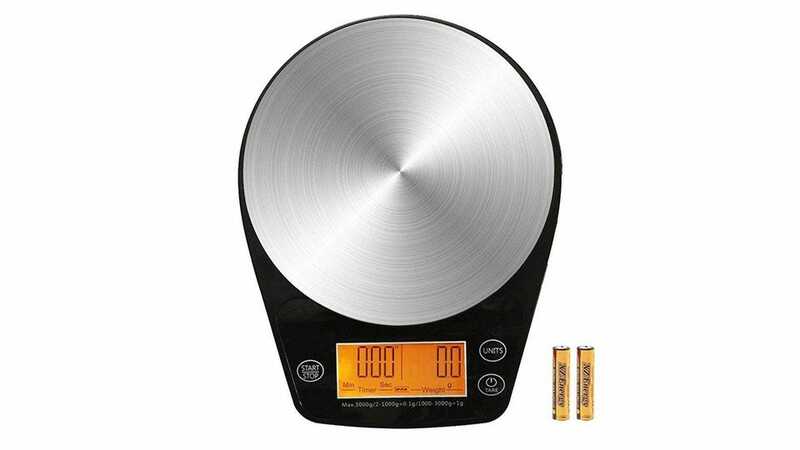 If every dollar counts or you simply don’t expect to use scales often, buy the Greater Goods Digital Food Scale. It’s a simple device that measures up to 11lb without any hassle. Its display is basic but provides measurements in pounds and ounces as well as grams so you’re mostly good to go here. It’s small enough to put away when not in use too which is useful if your kitchen is as small as your budget. Don’t expect anything too fancy from this scale, but it gets right to the point—albeit not the decimal point where grams are concerned. Like we said, it’s frills-free but it does the job. Just don’t be surprised if you end up upgrading it after some more extensive baking. For those with visual impairments, the Skyzonal Kitchen Scale is perfect. It has a large and clear display that dominates much of the device along with a large area for placing your bowl or ingredients. It makes good use of the extra surface area too: you can measure up to 22lbs worth of ingredients. Many different units are catered for here including grams, ounces, pounds, kilograms, milliliters, and distinguishing water and milk. It’s stainless steel coated too so it’s easy to clean up after yourself. The Eravsow Scale was designed with drip coffee measuring in mind, but it works just as well for anything that requires super precise measurements. Its range covers from 0.1 ounces or 1 gram right up to 3000g so you’re sure of an accurate readout. You only have the choice of switching between ounces, grams and fluid ounces, but that should be fine for most users. There’s a timer function as well if you need it. With a stainless steel platform, much like the Skyzonal scale, it’s easy to clean too. 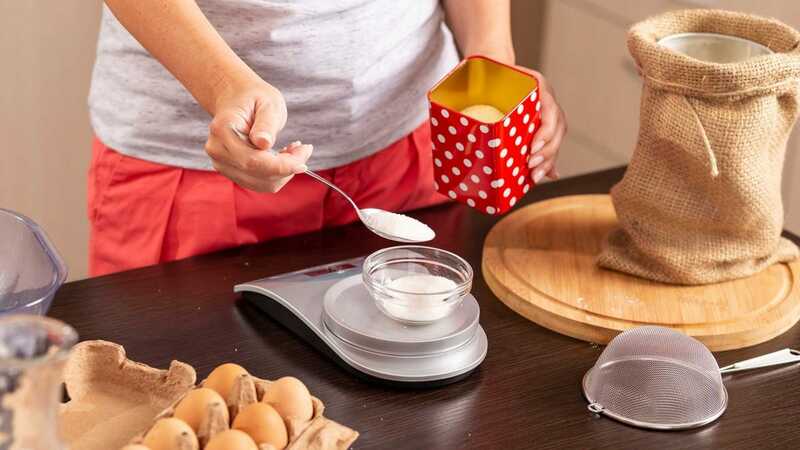 Its precise measurements won’t be needed for everyone, but if every tiny ingredient counts in your baking, this is a strong alternative to other, more general scales. Do you love for everything you own to have Bluetooth? If so, buy the Perfect Bake 2.0 scales. They work much like regular scales but they’re smarter. For instance, if you pour too much in the bowl, the recipe automatically adjusts to accommodate it. That’s ideal for those clumsy times when you realize you need to be more accurate when measuring out for a cake or cookie recipe. Alongside that, there’s a Pantry feature that generates a shopping list of ingredients you may be missing, and there are hundreds of recipes to peruse. 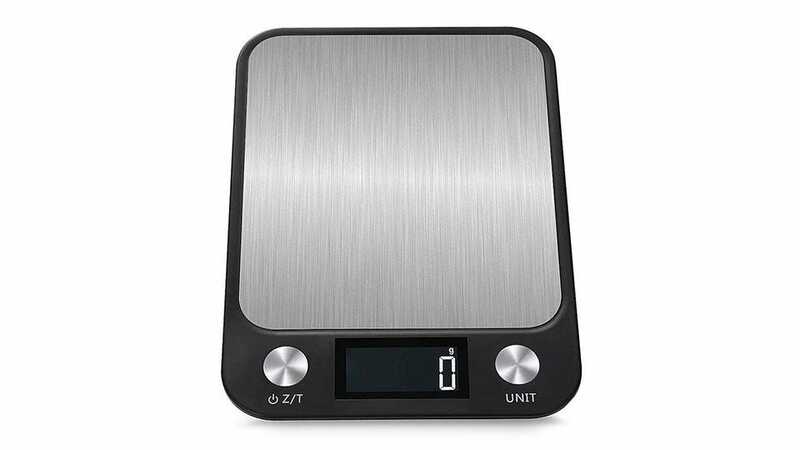 There’s an 11lb capacity limit so the Perfect Bake 2.0 scales are on a par with most other decent kitchen scales.